Keep your look killer this season with this ribbed shirt. 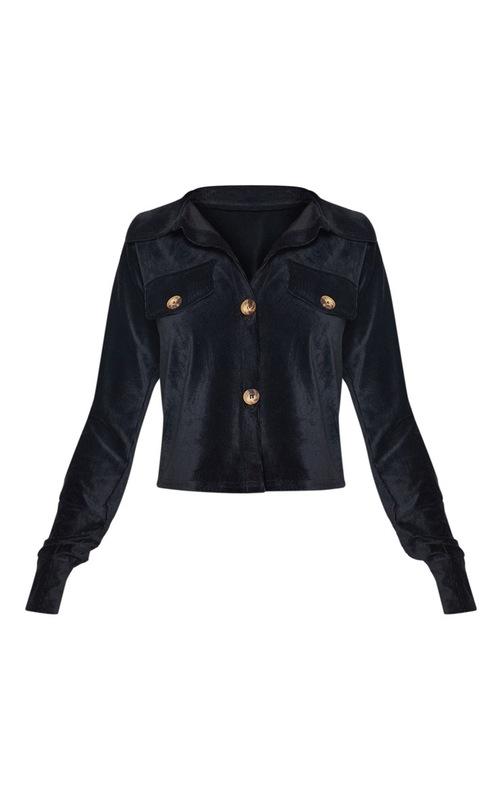 Featuring a black textured rib fabric with pockets and a button up front. Team it with some faux leather shorts for a combo that can be dressed up or down.